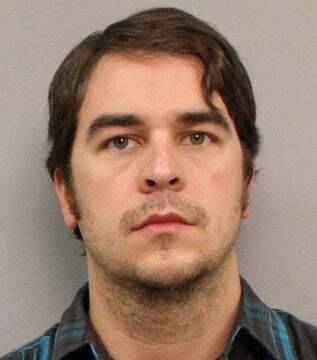 Behaving decidedly unlike a protector of the skies, U.S. air marshal Adam Joseph Bartsch was arrested Thursday for allegedly using his cell phone to take photos of all that fun stuff happening up a woman's skirt in the Nashville, Tennessee airport. Bartsch was arrested while on duty after a witness saw him using his phone on a Southwest flight; the witness alerted the flight attendant, which resulted in an hourlong flight delay, no doubt to the delight of everyone involved. The whole thing is a scene worth trying to imagine if you've got a moment. Bartsch is apparently "in the process" of being suspended or fired – it's unclear yet which of the two is happening – but was released from jail. A TSA spokesman said in a statement, "TSA does not tolerate criminal behavior. The agency has removed this individual from his current duties and is in the process of suspending or terminating his employment. TSA is cooperating fully with investigators."